...but I am sort of interested in learning. So I'm going to use my guest post moment today to both post what I've got but also to ask if any readers have any experience or thoughts to share? To me, homeopathy has always been one of those slightly more far-out alternative healing traditions that I've always viewed sort of dubiously--not because there's necessarily anything wrong with it, but because it follows a completely different paradigm from most of the rest of what I'm familiar with. I just don't get it. Which brings us back to the original topic of this post--my recent discovery of and being-intrigued-by homeopathy. But since by day 2 the ridiculously poorly acted espisodes of CSI Miami were getting old fast (What is it with that show? Back in the NYPD Blue days we really thought David Caruso could act...but watching him now I'd say he's on his way to becoming the next Shatner if he's not careful), I spent a good bit of prone time on the couch poring over the internet and researching what homeopathy is all about. It's sort of interesting. But incredibly different. I spent a lot of time on ABC Homeopathy, which has a lot of good information. They have a whole Guide to Homeopathy on there that's worth some time. I have to say, I find the whole thing fairly non-intuitive. The basic principle seems to be "like cures like." So your "cure" would be some substance that when taken in higher quantity would produce the symptoms you're experiencing, only the homeopathics are so incredibly dilute that instead of causing the problem or making it worse they help gouge the body into fighting the symptoms. (Not unlike the vaccination principle, I guess, but on the other hand very unlike.) And I find it intimidating and a bit freaky, because the "cures" often have names like "belladonna" and "arsenicum" and "strychninium"--names that are kind of, like, stuff we associate with fairly nasty poisons, ya know? But I know people who swear by this stuff. And who know a lot more about it than I do. And I'd be the last one to just write something off simply because I don't understand how it works. (Um, hello, computers?) And there is that reality that once I took the flu stuff, my fever did break and didn't come back. Anecdotal evidence to be sure, but there it is. And my husband started taking it literally half an hour after his sniffles started, and almost a day later he hasn't developed into worse symptoms despite taking care of me all week...anecdotal evidence at best, but it's still something I'm inclined to pay attention to. So, my dear Boother friends--anyone out there have any experience with homeopathic medicines? What do you think? I can't help but laugh at the response above me. Just wow......totally false. You have said my response is false so please enlighten me as to the scientific evidence that shows that homeopathy works. If there is genuine evidence then I will happily post again denouncing my earlier comment and give homeopathy my full backing in any other posts I make on websites. I too would be interested to learn more about the scientific support for homeopathic remedies. Alas, I wonder if it is not like many topics that have not received sufficient scientific attention to warrant a clear decision one way or the other. Herb teas and tinctures work; homeopathy I am skeptical of, but openminded to more information. LJ, could you share some more information? I think Marc would be open to this also. I don't know that calling it a "vast snake oil industry" is appropriate or true BUT without scientific support of the effects of these remedies, you bet I'd be reluctant to put someone's life/health (especially a child's) on the line for untested supposed miracle cures. I come from a medical/scientific family and still do believe in some of the homeopathic remedies. Why they work I have no idea. I know the oscillium really works if you feel flu coming on fast enough. Also the Hyland's ear drops are great to prevent that trip to the ER or ped. And their PinkEye drops are great too if you don't want to drop $200 on antibiotics (and they work just as well or better.) My daughter had the worst teething troubles as a baby and the Hyland's teething tablets worked wonders. Don't see how a baby would know about the placebo effect. I'm with pananamama, we've used some of the Hyland stuff with great success. I also dropped a fortune on homeopathic drops for my son one year. After a month of nothing working, I took him to his regular doctor and got him on some western medication. He was better the best day. I think, like all things, some works for some people and some don't. Always worth a try though! And the CSI Miami comment is too funny! I'd say he is the next William Shatner already. Homeopathic remedies generally contain few or no pharmacologically active molecules, and for such remedies to have pharmacological effect would violate fundamental principles of science. Modern homeopaths have proposed that water has a memory that allows homeopathic preparations to work without any of the original substance; however, the physics of water are well understood, and no known mechanism permits such a memory. The lack of convincing scientific evidence supporting homeopathy's efficacy and its use of remedies lacking active ingredients have caused homeopathy to be described as pseudoscience or quackery. One thing to keep in mind too, in our Highly Sophisticated Rational Scientific world, is something Susun Weed says often--the placebo effect is real. Which is interesting, and my rational brain has a little trouble with it, but...if something causes something in your body to respond in a way that makes you feel better/fight infection better/your symptoms go away, should it be dismissed as "only" a placebo effect? Marc, I don't need to enlighten you. There is a WEALTH of information in libraries and on the internet, both for and against homeopathic remedies for illnesses. You can read them the same as I can, and draw your own conclusions from them. I'm not against your OPINION, I'm against you using only 1 side of the argument as 100% infallible fact and negating a person's own experiences with homeopathy and herbalism. Do you have any PERSONAL experience with herbalism and homeopathy? If you do, and that's what you are basing that response on? If so, please state that those are your personal experiences because no one can discount them. However, you can not sit here and completely debunk people's own experiences and call them fallacy and claim that your opinion is 100% fact. You are relying on one side of the argument and instead of coming in and claiming that you don't believe in it, you posted 1 side and were completely and totally RUDE in discounting someone else's positive result and telling them that next time the sugar pill would be just as effective. Posting scare tactics like children dying because of their parents' beliefs n homeopathy and faith instead of "genuine medicine". Well, how about all those children who have died because of taking that "genuine medicine", Marc? Have you read the laundry list of side effects of some of that "genuine medicine"? Perfectly innocent children have died because of their parents' blind faith in the medical community to cure all their ills. See how quickly I can turn that around on your argument?? The reason I said what I did is because I live with a child with a whole host of medical problems. Some of those we treat through the medical profession, because we understand that there is no herbalism/homeopathy that can treat them. But, some of them we treat bio-medically and with homeopathic treatments and they ARE effective!! I thoroughly RESENT people like you who think that the medical profession is infallible and that herbalism is "snake oil" sales, claiming that a website in support of people's own experiences is "misleading". Oh yeah? Well, why don't you come live in my home and tell me that? Both sides of the argument. There are scientists for, and scientists against and you're going to get no matter where you go. But, to tell someone that their own experience was "all in their head" is rude, it's poor form, and it's downright laughable. My son has severe autism, he's totally non verbal. You wanna tell me that his improvements on homeopathic remedies are "all in his head" too?? It doesn't hold water. The medication you recommended contains: Paracetamol, Phenylephrine hydrochloride, and Caffeine. Oscillo is derived from duck liver and hearts. I think I'd be safer with the Muscovy duck livers....I do my research before I blindly take things,......and post them. As for the lady that asked me to post some of the information, most of what I rely on is in books on the subject. Although, there are good websites that do post the illnesses that certain herbalist/homeopathic remedies can assist with. It really depends on which illness you're focusing on, and when. For me it's asthma, allergies and autism. I found that some herbal tinctures helped with my son's symptoms of autism, and another son's concentration levels at school, where nothing else did. The medical community is QUICK to slap a stimulant or a sedative on someone before they'll try something that nature provides. All, I can do is provide real personal experiences and the websites I purchase from. I'm not a doctor, I'm just a parent. I trust my own knowledge in basic herbs, and trust the results I get with the products I buy. All of which are natural substances. I fully do my research before I do or try anything, and will usually rely on something that has personal testimonials to it. This is where I buy my child's supplements from. Nothing is magic and nothing can override your own belief system. Not western medicine or homeopathy. Homeopathic medicine immediately goes into your mind body system, ending up in your hair within seconds. There are no negative side effects. Hi there. I'd like to reinforce the comments above by Marc. It's up to you, of course, and no doubt LJ has a different view, but there is really no evidence that this stuff works at all. You had a self limiting illness. In other words you were always going to get better. Because you took the duck's liver tablets without any actual duck liver in them around the time you were getting better, pattern seeking humans naturally put the 2 things together. It's a trick of the brain, nothing more. Sorry. LJ, I know you don't agree with Marc, but you don't know him either. You're making a lot of assumptions about his position. I'm sure you do an excellent job for your son, and I can hear the passion in your argument, but it remains only your opinion. There is no scientific evidence to back up your point. You may be right for your experience and in an overall care plan for your son, but your individual experience may not be indicative of the real situation. In other words it's subjectively right, but not verifiably, if that makes sense. I'm sorry to be straight with you but anyone reading this really needs be skeptical about homeopathy. Unless you have plenty of money. When you look at the evidence, it's a very big "if". You have made my point, for which I'm grateful. I think the difference - in cost - between homeopathy and traditional medications is that insurance, assuming one has it, covers the latter but not the former. That was the big difference in my experience. I can't speak for everyone's medical plan, but on mine prescription meds are still pretty expensive. I'm honestly not sure what Tamiflu would have cost me if I'd gone to the doctor and gotten a prescription--but I can guarantee it would have been a lot more than $9.99 plus tax. Way more if we hadn't met our annual deductible. Not that this has anything to do with the effectiveness of homeopathy one way or the other, but I'm just sayin'. That aside, I tend to take the same approach as Kasi S.--I'm interested in learning more (if the skeptics could give links to those double blind studies, it woud help, ditto the modality's supporters), but for the moment I am not inclined put anyone's life or health at risk for it until I know/understand more. Andy, that was exactly my whole point. He came in here and discounted another person's personal experience, their opinion. And he did it with a serious lack of tact. He didn't state his opinion as an opinion, he stated it as fact. You can not debunk another person's opinion, it doesn't work. And that's the whole point of my tirade on that. What works for one person, could kill the person sitting next to them. Everyone is different. Results my vary. So, it might not work for him, or someone else. It worked for the author of this post though. And that's all that counted, and he had no right to tell someone else their experience wasn't valid. I'm the first one to admit that skepticism is a good thing. If I weren't skeptical, I wouldn't turn to homeopathy for some of the things I have. I entered into it with a certain amount of doubt myself, until seeing the results. And others may find it not working for them, but we see this in the mainstream medical community as well. Everyday. That's why there are so many different medications for the same ailment. You are right, it is better to be skeptical, but not to discount a person's experiences. My son's responses to his therapies are all verifiable, btw. He's got doctors fully taking notes. They're verifiable for him. Whether I'm making an assumption of his opinion or not, well I read it at face value. "...homeopathic websites that will give misleading evidence and the results of flawed studies to support their claims that homeopathy works when it doesnt", I just thought that was pretty clear on where he stood, except he stated it as fact.....which is isn't. Anyway, thanks for your straight forwardness, I do not mind, I prefer it actually. On to happier topics, I apologize to the author of the post for the hot temper. You know how they make this stuff, right? Thank you Andy for putting things better than I did. How they make what? Oscillo? I know of the information that specifies how it's made, yes. My argument is way beyond just Oscillo, it's about homeopathics and herbalism as a whole. Most herbal remedies, admittedly, don't go through the types of processes that Oscillo does, but that really has NO baring on how it will affect one person or another. Nothing at all. You can't prove to me that it doesn't work. And you can't because you can't prove a negative. And I can't prove to you that Oscillo will work for every single person from here to eternity. Because that can't be done. You can not disprove experiences and opinions. It's apparent that my entire point is lost on most of the readers because they are under the impression that I have no idea what I'm talking about or that I'm somehow trying to change minds. I'm not, I don't care what you or Marc or anyone else believes. I'm pointing out that nothing is more rude and poor form than telling someone their experiences and opinions are valid because you don't believe in it or it didn't work for you. Entitled to opinions everyone is, what they aren't entitled to is misrepresenting them as 100% fact for everyone. It doesn't MATTER how they make it. What matters is that it worked for a person. Just like someone taking a gamble on chemo, or another drug might. SOmetimes they work, other times they don't. Chemical or natural. It's got extract of duck livers and not much else. Who CARES? Beecham's Flu Plus had 3 items in it, what difference does that make? None. Duck livers worked for one person, might not for another. Oh hell, now I'm just sitting here trying to hammer my point into someone's head. hmm. Very interesting discussion. As a yogi, there's a lot of "homeopathy" type talk in Ayurveda which I tend to consider with a grain of salt. As a health professional, I also tend to consider scientific evidence when evaluating methods of healing. 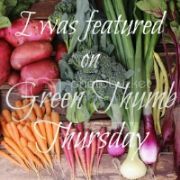 My favourite comment was from Jenn-Greenmom- the "placebo" effect is real, it has been documented. It shows how our brain is connected to our physical reactions (which makes complete sense). What we believe and how we feel will affect our physical health, which is something that many eastern cultures understand but something that our "scientific" western culture has lost. The problem with rigorous scientific studies and clinical efficacy is that it's very difficult to accomplish. There are SO many variables to control and issues surrounding getting the research to pass ethics (how to you justify withholding a treatment?). In order to control for every single variable, the "N" or population studied are usually non-representative of the typical population or extremely small in number. Further, because of the need to control each and every aspect in order to determine whether the effect was from the therapy or not, the resulting evidence tends to be a "micro" as opposed to the macro perspective, which is misleading. As if we all function in isolation of all of our physiological and environmental parts. Life and health are dynamic which doesn't lend itself well to science. The truth is, clinical efficacy is so terribly difficult to research. I say all this as someone who values science and evidence based practice (It is the cornerstone as to how I practice as a health professional) and as an academic who realizes the limitations of research. This was an interesting post and discussion. I'd like to think that each individual makes the choice that is right for their family and individual health with the guidance of those professionals (whether medical or naturopathic) that they trust. Who am I to judge what works for one family that I have no idea, medically or personally, what their life situations have given them? LJ I am not discounting Janes experience after all she herself said that there were other possible factors that could have led to her feeling better such as the illness running its course or the long hot shower she took. it is a bit of a jump to say that she has had homeopathy work for her when there are other factors that have been excluded that are more likely causes of her recovery than homeopathy. I was not being rude to Jane or atleast not intentionally however i did find your dismissive responce labelling my post as laughably wrong and totally false to be quite rude. My post was not totally false, it is true that at the dilution level of most homeopathic remedies there is no active ingredient left and that studies or that hanhemann believed in the law of similars or like curing like. You're welcome. I wasn't aware I was doing that but I'm glad in that case. I'm not really getting your point. Are you saying that because it is not possible to control for every effect, then science is not doing so? If they cannot be controlled for, are they relevant, imaginary...what? Science controls for everything that can e controlled for. As you well know, that is the scientific method. Just because you or someone else hints there may be exotic untouchable factors that are being ignored in that method doesn't make it so. In fact that particular argument I find somewhat patronising. As it relies upon ignorance of the scientific method on the part of the reader. Where's the evidence? I agree that as long as the patient gets better what does it matter? But I don't like the idea of kidding people either. I'm not trying to wind you up. It's a legitimate question. I have discovered that the spiritual mind body soul aspect of these discussions tends to ignore the known facts. 1 The organic material is made into a mother preparation or tincture. 2 one millilitre (there are 5 in a teaspoon of liquid) is put into 99 mililitres of water/alcohol. This is 1c. one drop of this is taken and added to another 99 mililitres of water...and so it goes on until there is nothing left at 30c. 3 (this is the funny bit) they hit it against a surface similar to leather for reasons that are completely unknown other than for the explanation Hahnemann imagined up 200 years ago. No science there at all. There's more. But I won't bore anyone with it. I'd rather send you to the only homeopathy site in the world that tells the truth. www.fdhom.co.uk. They sell the stuff, but they don't give you the pseudoscientific nonsense. Buy from there. They should be encouraged. I'm all for placebo. Just not fooling people. Hmmm. I could add this to my medicine chest alongside the (generic) mucinex and the albuterol for the nebulizer, my two main weapons against the looming flu. I don't care what people say I swear by homeopathic and many studies HAVE shown it to be better than placebo. And I know it works for me so if it's placebo I don't give a crap lol. I tell everyone to get this stuff when they get the flu. I've never taken Tamiflu only this stuff. Also use homeopathic meds for colds, allergies, pain, etc.. And what I don't get is how do the people who say it's a sugar pill have to say about the fact that homeopathic doctors often can get rid of allergies for people by using this method? Also the method is to give a SUPER small dose of something that causes your symptom so that your body makes more antibodies. Pretty simple. 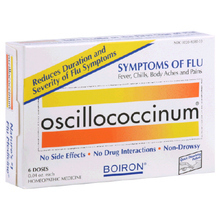 I've tried oscillococcinum on three occasions with amazing results. I've given it to my daughter (who, I noticed has posted above) when she was a kid with equal success. Just because we may not totally understand how something works doesn't mean it doesn't. Btw, I'm a R.N. and my brother is a doctor so I do know a bit about medicine. I'm studying to be a nutritionist and herbalist and I haven't used conventional medicine for years - though I'm not opposed to it, I haven't found a need for it since nutrition, lifestyle changes, and plant medicine have always been sufficient. So I'm supportive of experimenting with homeopathics. But for me, I have never had success with them. I have studied it a fair amount and it seems that if you actually work with a homeopathic doctor, you'll get the royal treatment with an extremely specific remedy suited individually for you. Not so with store-bought products, which are generalized to a population and therefore may or may not be perfectly adjusted to individuals. I know people who have seen tremendous benefit working with a homeopathic doctor, so I won't say it doesn't work, but I generally bypass the homeopathic section. One thing I do find interesting is my experience flower remedies, which has been very powerful. Also no (yet discovered) reason why they should work, but they're amazing. The first time I tried the Rescue Remedy, I wasn't even trying to treat anything. I wasn't upset or otherwise in need of "rescue." It was just there so I tried it from curiosity. I immediately felt like I'd taken a Valium! Except without the nasty side effects. Since then, I've tried a few other flower remedies and also tried them with my partner and children, all with amazing benefits. Since homeopathy and flower remedies operate off of somewhat the same principle, I think it's been an interesting experiment to compare the two. Great post! I've been reading for a while, but this is my first comment. Oh, I also wanted to say that I sort of laugh when people brush things off as "just" the placebo effect. The placebo effect is a well-documented example of the way our minds can shape our physical bodies. If a product encourages my body to heal itself, frankly, I'd give it a round of applause rather than denigrating it. The "super small" dose comes after you are symptomatic. Therefore those antibodies are already doing their thing. Further, what would you consioder to be a reasonable amount to be in there for it to be considered super small? You didn't say "nothing at all", so you're expecting there to be some in it, right? A 30c homeopathic preparation passed Avagadros Limit at 23c. That limit is a measure applied to dilutions, and states that once past a certain limit, there is likely not to be a single molecule of the original compound in there. So Ducks liver at 30c is suitable for vegetarians. It's just a sugar pill. I have some Nux Vom. Nux Vom is not on the on the ingredients list. Just sugar. It was Tim Minchin in his excellent beat poem, "Storm". Youtube it for the one with the lyrics on screen. Great fun. I don't laugh off the placebo effect. Making people "feel" better makes the world go around. It's the basis of friendship, love, community and so on. A "feeling" of belonging, of security, dependence and to be relied upon yourself. Most people "feel" and strive to "feel" better. So if the condition is self limiting, or benign, a placebo can help in the same way as having someone you love stroking your brow has that effect. But it's not the same as actually getting better. This is the difference between a pseudo medicine whose effect is that of using your belief system to impart a feeling of well being, and an actual medicine which is a biological intervetion with a proven range of outcome probabilities that are weighed up by a suitably trained health professional. Andy- actually the placebo affect has been documented to actually "make" people better. they have been documented to directly affect physical properties- such as blood pressure, heart health, depression (which clinical depression would be more than just "feeling better" but a neurological chemical imbalance. of course, since you want to answer each commenter here, i'm assuming that you know this. not that I usually like linking there, but Wiki has a fantastic entry on the Placebo effect. And since it's easier than digging out my physiology and anatomy texts i'll just rely on that. "...since you want to answer each commenter here, i'm assuming that you know this..."
Not cuddled enough as a child Eco. Can't help it! Doh! there I go again!! !